By Ian Pollard in News and Views, Uncategorized on 18th April 2018 . Countryside Properties plc CSP enjoyed robust trading during the firt half year to the 31st March., in addition to which there was growth from acquisitions. Total pricate completions rose by 15% with the total average selling price falling by 11% to £392,000. Housebulding completions rose by 7% with the average selling price remaining flat. The company claims that private forward bookings were strong with a fall from £347m. to £327m. Current trading is described as robust and building cost inflation has moderated particularly in London and the south east. Bunzl plc BNZL Since the 31st December revenue at constant exchange rates has risen by 14%, with underlying growth of 6% and an impact of 8% from acquisitions. Underlying growth is expected to return to more normal levels for the reminder of the year. In March two further acquisitions have been completed, one in the US which produced revenue of $50m in 2017 and the second in the Netherlands which produced 6m. Euro in 2017. 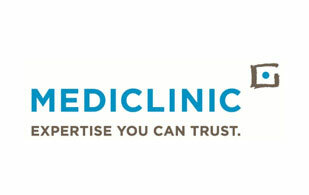 Mediclinic Intnl plc MDC Results for th year to the 31st Mach are expected to be marginally ahead of expectations following a significant second half improvement from the Middle East division, which is now entering an expansionary phase. This is expected to produce a srong increase in revenue and margins over time. In Southern Africa revenue growth of 5% is anticipated which is ahead of expectations. Moneysupermarket.com Group MONY produced total revenue growth of 4% for the quarter to the end of March, in line with expectations and led by Home Services with a rise of 15%. The group anticipates meeting current market expectations for the full year. Segro plc SGRO made a strong start to 2018 with a record level of new headline rent delivered for the quarter from the 1st January to the 17th April. Last year the first quarter figure was £16.3m.. This year the figure shot up to £27m.